Connecting with others who have taken the road less traveled and come out the other side can be just as important as any dietary change or treatment plan, according to Mum. We’ve received a steady stream of emails from other natural cancer survivors since starting this blog, and many have been generous enough to allow me to share their story on this site. A few weeks ago Nicola, from the UK, shared her story of beating breast cancer naturally and Jane – a six year bladder cancer survivor – recently talked about the benefits of Essiac tea and the importance of embracing change. 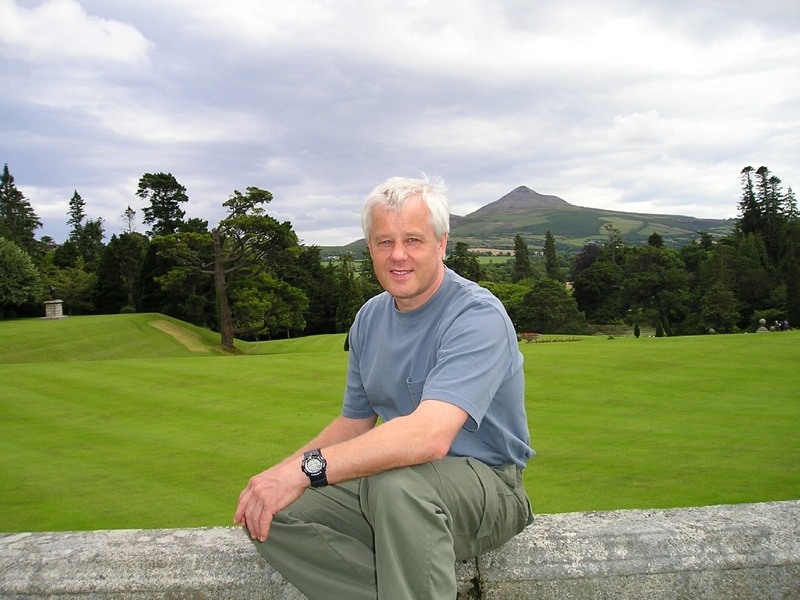 ‘In January 2007 and at the age of 57, I was diagnosed with colon cancer which had spread to the liver. As a non-drinker, non-smoking fella who had exercised most of his life, this was a bit of a shock to put it mildly. However, I am a person that gets stressed quite a bit and had recently experienced a very tragic bereavement, which I think was the tipping point for my immune system. Although avoiding surgery was not an option (the colon was almost completely blocked) I knew enough about chemotherapy to avoid it completely. Although the oncologist tried his best to persuade me to have it, I refused flatly. When I told him about the alternative treatments that I would be using instead, all of which were non-toxic, he remarked arrogantly that none of these had any proven benefits. I did point out that neither has chemotherapy, which did not go down too well and I could see there was no point in discussing this with him any further and so I took my leave. I have not been back to a hospital since that time. I knew what I had to do, which was to address the toxicity, deficiency and stress which all seem to be a factor in cancer. I bought a book by Dr Sherry Rogers entitled Detoxify or Die and that book became my bible. From it I learned why we get so toxic in our modern world and how these toxins lead to serious and degenerative illness. The book also explains how to go about getting the toxins out of the body. I used a variety of supplements and the famous coffee enemas, which is the best thing I ever did. From my research I knew that cancer cannot survive in an oxygen rich environment and one which is alkaline. So my next step was to make my body as inhospitable as possible for the cancer cells. I started out gently at first using Flor Essence which is an herbal tea and has anti-cancer properties. Once the cancer cells started dying off, I would need all the elimination channels working as effectively as possible, otherwise the liver gets overloaded. I invested in an ozone generator from Ozone Guru Dr Saul Pressman in Canada and self-administered Ozone therapy. Having read about the benefits of Infrared sauna treatment, for not only detoxing but also stressing cancer cells to destruction, I invested in a small one person unit. I also combined the two therapies by heating up my body to a high level with the sauna and then funnelling Ozone, whilst still in the sauna (pores wide open) to the site of the removed tumour. 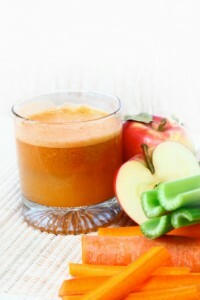 I juiced organic carrots, celery and a green apple every morning to which I added ground bitter apricot kernels. Every afternoon I made fresh fruit smoothies and tried to include pineapple and Papaya, because they contain some very potent anti-cancer enzymes, Papain and Bromelain. I also included some of the Brazilian super fruits Acai and Acerola which I bought frozen from a juice bar supplier (you cannot buy these fresh) I cut out red meat and ate chicken and fish for protein. I supplemented with high doses of Vitamin C, Vitamin A, COq10, Glutathione, Alpha lipoic, Selenium, Zinc, Magnesium, and several more. I got back into exercise as soon as I could because that brings so many benefits both physically and mentally. That was 5 years ago and looking back, the whole journey has been a blessing. Vincent you are a true inspiration. I am in my 50’s and going through a really bad time at the moment. I am so stressed and I know that this can cause all sorts of diseases. I am eating a raw vegan diet but I know that I have to control the stress. I will definitely buy a copy of Dr Sherry Rogers book. I would love to know how friends and family dealt with your alternative route. 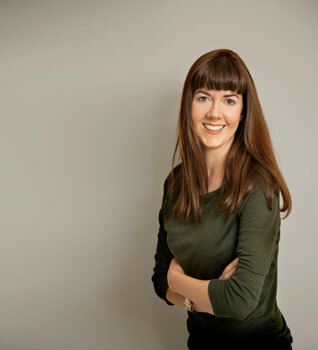 Karen, you are right, stress is a major contributor to many serious health problems. When I talk about toxicity in my story, emotional toxicity is included in that and is probably the hardest to deal with as we are exposed to it from many sources. One thing I forgot to mention in my story (things are coming back now) is that I used some subliminal Audio CD’s from a company called Inner Talk.. The creator of these products, Eldon Taylor, generously donated 3 titles, free of charge, to anyone who could benefit from them. He obviously knew a lot about the Mind/Body connection and how stress can affect our well being, by compromising our immune system. The 3 titles are ‘Forgiving & Letting Go’ , Loss of a Loved One’ and ‘Cancer Remission’ you can request one or all three titles for free and just pay a small postage charge. I bought one title called ‘Powerful Immune System’ and placed this onto a MP3 player on repeat. Every night, from the first day in the hospital, I played it and fell to sleep with it. The message get’s deep into your sub-conscious where it can do most good. Here is the link to the distributor of these products http://www.kiki-health.co.uk/section_description.asp?url=851_Free.html. Stay positive and know that many of us have been just where you are now and at last have found a brilliant website like this, to tell our stories. Thanks again for amazing article ,and sharing your story. Hi Vincent, thanks so much for sharing this. It is powerful stuff indeed and I deeply appreciate the additional info regarding the audio CDs as I am a great believer in the power of the subconscious mind. I have been looking into it in great detail as I have a weakened immune system due to an IGG deficiency and this contributed to a brush with non-Hodgkins lymphoma in 2008. I was treated conventionally (chemo) and was declared in remission in 2009 however my immune system is still not happy and the outcome of it all is that my liver has been damaged by the chemo (as per the liver specialist I have been seeing) although amusingly and as the liver doc predicted, the oncology/haematology docs refuse to accept that the liver damage is linked to the chemo!!! They told me it’s just bad luck. Anyway my story is long and complex but the vital lessons I have learned from having cancer is that given the correct foundation and environment our bodies can heal themselves. If we work with nature and utilise the powerful brain we have been given we can get through cancer and never look back. Your story confirms all of this and now I am off to buy Detoxify or Die and some audio CDs. Wishing you health and vitality for a bright future. Hi Jayne, you are most welcome and you are so right about the subconscious mind and just how powerful it can be if we are able to access and utilise it. There is a geat book by Bruce Lipton called ‘The Biology of Belief’ which if you have not already come across it is right on the money, as they say, regarding this. You are right about the chemo, it can damage the liver and surgeons know this. A lady I spoke to recently told me that her surgeon admitted this to her when discussing a forth-coming liver operation. This came up because she has been doing juicing and that stuff, after refusing the chemo, The surgeon remarked how ‘clean’ her liver was and how he normally sees damaged livers for chemo (I bet he could have kicked himself) in the course of his job as a liver surgeon. Don’t dwell on that now though, push through it all leave all the toxic emotions out of your recovery plan. All the best! Thanks for such an amazing story! You Rock! Could you explain how you know that you are free of Cancer, if you did not go back to the Hospital. I thought you would need a CT scan to show the C cells had gone. I know that this may sound strange and maybe even delusional, but I just know. Let me tell you why I took the decision not to go back and this is purely my opinion and I don’t want anyone to think I am advocating this to anyone else in the same position. We all have to decide what we feel comfortable doing and what path to take when facing a difficult situation.. I felt the stress of waiting for an appointment, which could be weeks or months, then waiting for the results which again could be weeks or months and finally hearing what the consultant has to say if it is not good, was not worth the trauma. More importantly, what would they offer me if things had got worse? Chemotherapy, Radiation or more surgery. How long can you keep cutting bits out and not actually addressing the root cause of the problem? The tumour is not the cancer, it is merely a sympton of the underlying cause, fix the underlying cause and the body will heal itself on it’s own. I wanted to stay completely focused on what I was doing and more damaging radiation from scans, biopsies that spread cancer seeds around and an increase in the levels of stress whilst waiting for test results, was not I felt, conducive to my recovery plan. Thanks so much for your story. Tomorrow is the 5th anniversary of my breast cancer diagnosis and I’m extremely fit and well having had no medical treatment whatsoever. I took a very similar route to yourself and heartily agree with everything you say. I did write a book of ten chapters with ten steps in each chapter. Probably the most important chapter is on mental attitude and how to develop the mindset to recover. I also recommend Biology of Belief amongst recommended reading. Taking care of the physical stuff is very important but the mental and emotional aspect is vitally important and it does seem that disease is entirely related to emotional stress and trauma. Your story is strong, powerful and inspiring. You look great and in excellent health and you so deserve it. Live long and prosper my friend and thank you so much for sharing your story. Thank you very much for your kind comments and it is great to hear that your experience has been positive too. The word Cancer, strikes terror into people who have been diagnosed with it and it doesn’t have to be that way. Cancer is very treatable like any other illness, You are 100% correct though, the right mental attitude is key to recovery and that will often determine whether people become survivors or not. I never took any notice of survival statistics given out by the NHS because they are depressing and based on their approach to the disease, which is totally flawed. The one thing that this website and these stories bring to people who are suffering from cancer is HOPE and that is sadly lacking in the hospital consulting room. Great and inspiring story! Well done! And I like your attitude towards the unnecessary stress of “asking your oncologist if you are cancer free”! Thank you for your story, it hit close to home for me. I am 28 years old and currently battling metastatic colon cancer. I have had surgery twice, the first to remove a 4cm tumour from my bowel and the second to remove two tumours- one 15cm and the other 30cm- from my ovaries. I am currently receiving chemotherapy and targeted therapy which I absolutely hate, for obvious reasons. I am also complementing this with a range of natural remedies and eating plans. I found your story really brave and inspiring. Like I said, I hate the chemo, but I am too scared not to have it. How did you have the faith to listen to your instincts? Because mine are screaming chemo is not the answer but like I said, I’m too scared to stop. 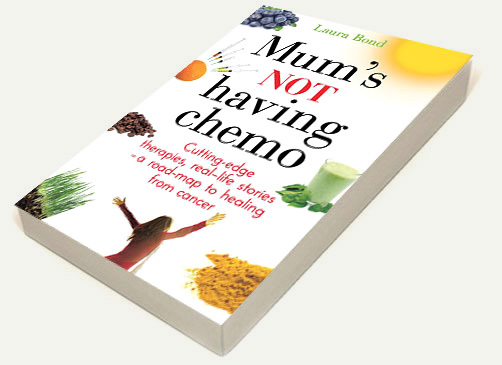 The reason that I personally did not go down the chemo route was not just an instinctive reaction, I had done much research into chemotherapy and what I learned convinced me it was not the route for me to take. I won’t go into great detail here, but if you would like to contact me directly (please ask Laura for my email address) I would be happy to give you more information. Of course you are scared and that is natural because you are not in control of the situation. That is why I would strongly advocate that you take control and do a lot of research to educate yourself; I will help you with some sources of information. When you understand what you are dealing with and what you need to do, your fear will turn to hope and that is what everyone needs when confronted with a life threatening illness. Take heart from the stories that you read here, we are no different to anyone else, if we can do it, you can do it.. I was getting goosebumps reading your story. It sounds so much like mine its eerie. Earlier this year I lost my beloved father to lung failure. I was devastated. Not long after I lost a beloved aunt which also cut me up. I sad to myself that bad things come in threes so I wondered what thunderbolt would strike me next. That third event happened to me directly. My bowel had some serious damage and I needed surgery to cut out the damaged section. After a five hour operation as I was trying to recover I was told of the bad news that the surgeons found a tumor but were unable to remove it due to it’s location. That was six weeks ago and I am home now contemplating what my next move will be. I am booked for radiation this week and chemotherapy in about 6 weeks time. Whilst I am more tolerant ofradiation I am very uncomfortable with chemo. I do not want to do it but my wife is scared for my long term health. So far, I am taking Essiac, have modified my diet so that I am essentially vegetarian, and taking several supplements including selenium, vitamin c and tonics. Your story hit home to me and it made me cry. It’s hard to talk to anyone about how I feel, not even my wife, as they don’t know what I am going through.